Fresno State will have to reshuffle its offensive line ahead of its game at No. 10 Nebraska this week in Lincoln, according to the Fresno Bee, http://www.fresnobee.com/2011/09/05/2526294/bulldogs-lose-center-helepiko.html. Starting center Richard Helepiko will be out with an ankle injury, the Bee reported. The Bulldogs will start 6-foot-5, 310-pound redshirt freshman Cody Wichmann at right tackle. Sophomore Austin Wentworth, who started at right tackle against California last week will slide over to right guard. Senior Leslie Cooper, who was the starting right guard, will start at center. Junior Matt Hunt and senior Bryce Harris will stay in their original starting spots at left guard and left tackle, respectively. Junior Trevor Richter will serve as the No. 6 lineman in the rotation. This is not good news for Fresno State. Nebraska’s defensive line is proving to be deep, fast and aggressive, led by Jared Crick and Cameron Meredith. The timing couldn’t be worse for the Bulldogs, and this should be a significant factor Saturday night. Senior defenders Jared Crick and Lavonte David are two of 42 players named to the 2011 Lott IMPACT Trophy Watch List on Tuesday. The award honors the top collegiate defensive player in the country and is named in honor of former USC and NFL great Ronnie Lott. Crick enters his senior season with 19 career sacks, including 9.5 sacks in each of the past two seasons. He has been a first-team all-conference selection each of the past two years and will look to become the first Nebraska player in more than a decade to be a three-time all-conference pick. Crick was a quarterfinalist for the Lott Trophy last season, while also being named a second-team All-American and a semifinalist for the Rotary Lombardi Award. David and Crick are among seven starters returning to a Nebraska defense that ranked in the top 12 nationally in scoring, passing and total defense a year ago. The list of 42 watch list members includes eight players who will compete in the Big Ten Conference in 2011. It was a amusing to watch a local reporter tell readers Sunday to not make too much out of Nebraska’s lack of performance against South Dakota State in Lincoln Saturday. Well, maybe he’s right. Maybe this 17-3 win against a I-AA opponent doesn’t really matter in the scheme of things. But it should. SDSU showed the college football world how to beat Nebraska. It doesn’t take great analysis to figure out that championship teams don’t play the way NU did on Saturday. From the opening kickoff Nebraska should have delivered a knockout blow against an opponent that should have been outmanned. If Nebraska played like it did at Washington it would have been 70-3. 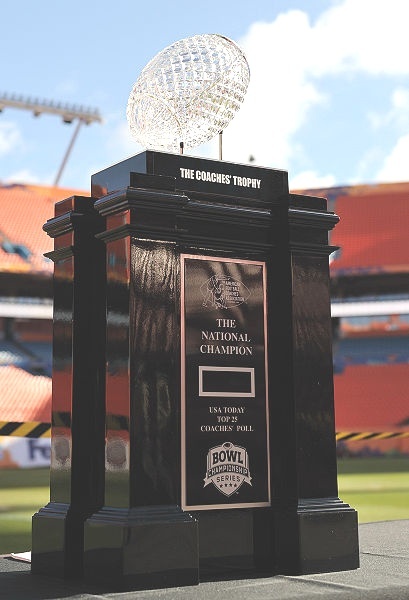 Every game matters when it comes to playing championship football. That’s why anyone with the reaction that Nebraska’s performance was shocking or “embarrassing” as Bo Pelini said afterwards, knows instinctively that there’s a bigger issue at play here. To win championships you can’t have letdowns and you have to play at a consistently high level. So far in 2010 Nebraska hasn’t done that. NU should have hung 60 points on the Jackrabbits, but for whatever reason Nebraska didn’t come to play. It would be hard to make the case that Nebraska was looking past SDSU to that first conference game at Kansas State because of a bye week before the trip to Manhattan. Sure, even great teams have close calls. But you expect that to come from opponents that match up with Nebraska athletically, not from an 0-2, I-AA team. Texas’ 34-12 loss to UCLA in Austin Saturday is a prime example of a team looking ahead. UT plays Oklahoma Saturday. Nebraska proved it can easily get off course and lose focus if it chooses to. SDSU was flying around on defense and they stuffed the Nebraska running game for the most part. On offense SDSU was able to run the ball with way too much success, finishing with 141 yards including 112 from Kyle Minett. Who? Did you say Walter Payton? Unfortunately not. If ever there was a reason for Pelini to take back the Blackshirts he issued just before this week’s game, this performance is screaming for it. Nebraska defensive back coach Marvin Sanders offered the only positive comment following the game. He said that if you look across college football there have been several big upsets. His point was that Nebraska found a way to grind it out and pull out a win. With all due respect to coach Sanders, Nebraska put itself in a position to lose that game. In fact, if SDSU had even a couple more playmakers on offense it could have been a much different final score. No one has been able to figure out Nebraska’s zone read all season — until Saturday. There should be reason for concern here. Of all teams, SDSU showed the college football world how to defend the new Nebraska offense. It takes complete team defense and discipline. All 11 guys on that Jackrabbit defense knew their assignments and stuck with it for four quarters. For the rest of the season Nebraska will have to find much better success in the passing game. That’s because SDSU showed that if you play eight or nine guys up at the line of scrimmage and every player stays in his lane and lets the Nebraska offense come to them, then you eliminate the overpursuit that has led to big running plays by Taylor Martinez, Roy Helu and Rex Burkhead. SDSU held Nebraska at bay with a group of average athletes who gave great effort — that’s why there’s reason for concern. Pelini obviously misread his team in practice last week. In the postgame he had no answers as to why his team played so poorly, especially since he said it was a good week of practice. So, has this team reached a point where it is believing all the hype about being a top 10 team? 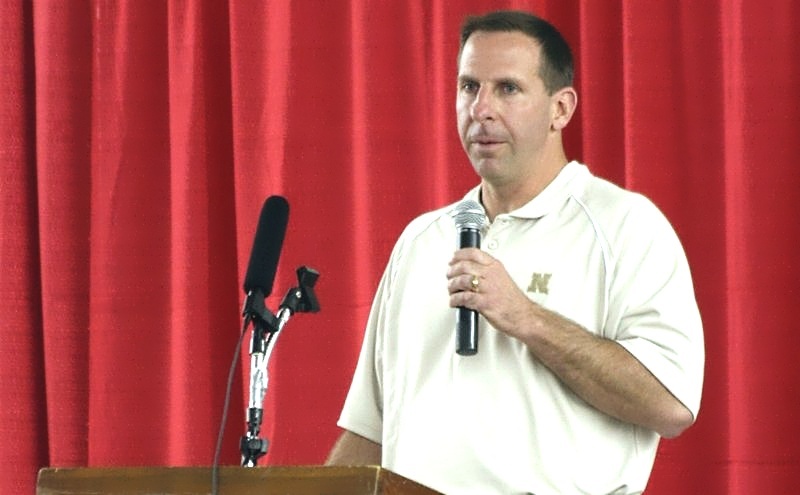 Pelini has been good at pushing all the right buttons to get his teams to play hard. Did players just not listen this week? Unfortunately this lack of focus could come back to haunt in the big games down the road. Nebraska will either take this game as a loss and step up the intensity, or this is the beginning of a bad habit. Does anyone know where to find a good sports psychologist? With Nebraska’s move to the Big Ten starting in the 2011 season, it makes you wonder if NU’s recent move to what coaches call the “Peso” defense will hold up. The Peso essentially includes four down linemen, one linebacker and six defensive backs. Defensive back Eric Hagg has been playing a hybrid linebacker/defensive back position. This has allowed Nebraska to get a ton of speed and athleticism on the field at one time. The one true linebacker spot in the Peso is usually occupied by Lavonte David, Alonzo Whaley or Eric Martin. Most of the time in the first two games David has been the one linebacker playing in the Peso. The one downside is that David is just 6-0, 200 — pretty much the same size as any of the defensive backs in the lineup. This defense makes a lot of sense in the Big 12 because we’ve seen wide-open, pass-happy offenses carry the day in the past several years. Nebraska’s Peso has been effective because NU can put seven great athletes on the field at one time to cover some great receivers in this conference. But who knows what happens starting in 2011. During Nebraska’s weekly Tuesday press conference Nebraska Head Coach Bo Pelini said the smash mouth style of play in the Big Ten may have some bearing on whether the Huskers play the Peso after the 2010 season. That’s because to defend what are run-oriented teams in the Big Ten could put a bigger premium on recruiting linebackers more suited for defending the run. No offense against Lavonte David, but who knows what Nebraska will do on defense when it takes on Kansas State and bruising running back Daniel Thomas in a couple of weeks down in Manhattan. Last year in Lincoln Nebraska was able to keep Thomas pinned down, mostly because linebacker Phillip Dillard was all over the field. Yet Thomas was hard to tackle and put up some decent numbers. If you look at the Big Ten there is a drastic difference in the way teams play offense. Nebraska will face a much more physical brand of football than what it sees in the Big 12, and much like the way Pelini has NU playing right now. Pelini told reporters Tuesday that NU continues to recruit players like Hagg who can play multiple positions. It makes you wonder how well this works on defense considering that size may be a premium to defend the run. Really, though, it isn’t always size that matters. If you look back on Nebraska’s history, some of the best Husker defenders of all time were not exactly big. Mike Brown, the former Nebraska all-American and all-pro safety was the most fundamentally sound tackler NU has had — and the guy was only 5-11, 200. Barron Miles played corner for Nebraska during the ’94 championship season, and was a very good run defender at 5-8, 165. I think we’ll continue to see Pelini and company recruit the best athletes regardless of position on defense. As we’ve seen in Pelini’s first few years at Nebraska, guys aren’t necessarily recruited to play any one position. A good example is safety DeJon Gomes. Pelini said Gomes came to Nebraska as a corner back but hasn’t played that position since he came to Lincoln. In a short time, however, Gomes has proven that he’s a playmaker. It started last season at the beginning of conference play when Gomes was inserted as a nickel back. He made a big interception at Missouri and had a big forced fumble at Kansas, both changing the face of the game. Pelini said Lavonte David also has the ability to play more than one position. More importantly, I think we can refer to the back seven on the Nebraska defense as just the back seven. Position really doesn’t matter like it once did. It’s not as clear-cut. Chances are Nebraska will continue to rely heavily on the play of its defensive line when it begins Big Ten Conference play next season at Wisconsin. Pelini and his staff have shown a tremendous ability to develop defensive linemen. Ndamukong Suh was a good player when Pelini arrived, but quickly became the best defender in Nebraska history. 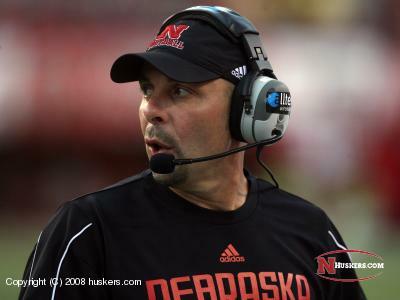 One thing’s for sure, we know Pelini will make the right adjustments ahead of the 2011 season. So maybe Bo Pelini was overreacting a bit when he said Nebraska’s defense was “absolutely embarrassing” following the 49-10 win over Western Kentucky Saturday in Lincoln. Honestly, the coach should be sore that the Blackshirts gave up 179 yards rushing to a team that has lost 21 games in a row — but on second look the breakdowns on defense apparently were nothing to sound the alarm bells over. Pelini said his defense played well when all defenders communicated well. “When we lined up I thought we were pretty good and were all on the same page,” he said. “Like I said, most of the things were communication issues. I kind of anticipated that would be the case coming in. Crick lauded the performance of linebackers Lavonte David and Alonzo Whaley, who filled in for the injured Will Compton and Sean Fisher. Pelini said Compton has a foot injury and will miss four or five weeks. Starting senior safety Rickey Thenarse said he believes the NU defense has already made the necessary changes and adjustments in practice. Pelini said coaches should have done a better job of preparing the defense for WKU. Because the Hilltoppers came into the game with a new coach, Nebraska had no specific idea of the type of offense they would face. He said that makes it more difficult on defenders. LINCOLN — With Ndamukong Suh off to the NFL where he’s already terrorizing quarterbacks, the Nebraska defense is looking for new leaders to help regain the swagger it had at the end of 2009. Husker Defensive Coordinator Carl Pelini said during Nebraska’s press conference Tuesday ahead of Saturday’s game against Western Kentucky, that even with Suh and a group of other starters gone his mind is more at ease. There’s more than a single reason why Nebraska hopes not to miss a beat in 2010. The Blackshirts are deep at every position. 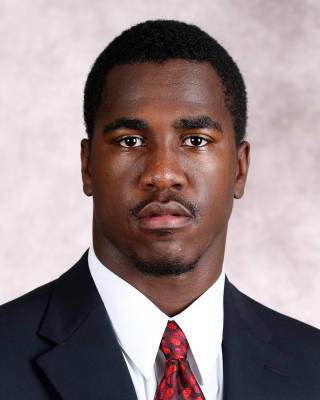 Nebraska coaches and players Tuesday went on and on about the play of junior college transfer linebacker Lavonte David. Pelini was equally excited about the depth in the defensive line — Jared Crick, Baker Steinkuhler, Thadeus Randle, Terrence Moore, Chase Rome and others. Don’t be too surprised, however, if David makes an immediate statement on the field. Head Coach Bo Pelini said David is unusual for a first-year player in that he’s caught on to Nebraska’s defensive system and is making plays — just months after arriving on campus. Husker receiver Brandon Kinnie, who faces David and the defense everyday in practice, said the linebacker causes problems for the offense. David’s chances of starting improved with the loss of Sean Fisher to a broken leg for the season, as now David, Eric Martin and Will Compton appear to be the top three linebackers. In addition, Carl Pelini said senior defensive end Pierre Allen came into fall camp much stronger and faster. That is the case, he said, because Allen has recovered from a series of physical problems, and unlike previous off-seasons, was able to work on his strength and speed during summer workouts. Allen is part of a defensive line that is in a better position than it was one year ago. Last season Suh and Crick played a significant number of minutes, barely taking a break primarily because Nebraska wasn’t that deep. Crick said he expects the defensive line will play well even when he’s on the sideline.